Raiffeisen Bank Aval COB secured the support of a major creditor of Ukraine. The European Bank for Reconstruction and Development stated in favor of the appointment of Bank Aval COB Volodymyr Lavrenchuk to the post of the governor of Ukraine's central bank, the NBU. "One must welcome, if it is confirmed, the nomination of Volodymyr Lavrenchuk to replace the outgoing governor of the National Bank," EBRD Managing Director in the countries of Eastern Europe and the Caucasus, Francis Malige, told Reuters on 27 April. The EBRD invests about one billion euros a year in the economy of Ukraine, starting from 2014. Previously, Lavrenchuk said that he wanted to head the National Bank. 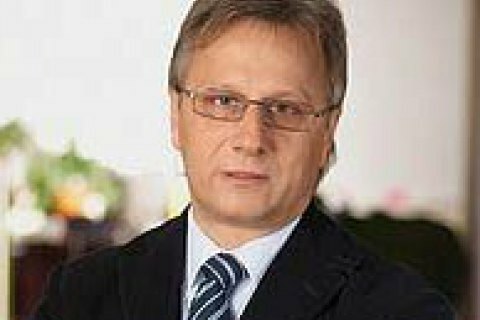 Volodymyr Lavrenchuk, 60, has been working in the banking sector since 1982. He held executive positions in the Oshchadbank, JSC Ukrinbank and Raiffeisenbank-Ukraine. Since October 2005, Lavrenchuk is the chairman of the board of Raiffeisen Bank Aval. The current governor of the National Bank Valeriya Hontareva is slated to resign on 10 May, 2017.